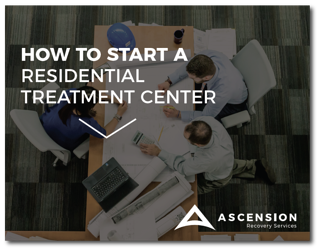 How to Start a Residential Treatment Center. Residential treatment centers are a crucial part of the continuum of care in the cure of substance use disorders. With the increase in the amount of addiction-related deaths, there is a real need for more high quality residential treatment centers. But is now the right time for you to open your own? Let Ascension help you make that decision and guide you through the process. Ascension provides start-up consulting services for individuals, business partnerships, hospitals and institutions interested in developing residential treatment centers. 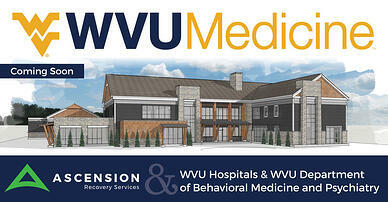 During the first phase, we will conduct a feasibility study and market analysis to determine the most desirable location for the residential treatment center, type of program (clinical or peer-driven, insurance-based or cash pay, considering commercial insurance vs Medicaid), target populations, competition and state and local regulations / code. A thorough analysis by our team of experts during this phase is crucial to establishing a successful program. There are many treatment programs in existence and more coming to market; it is imperative to know what is in your area, what is coming to your area and how you will differentiate yourself, better serve the population and establish a long-term financially viable facility. We will assist in the application for a behavioral health license if one is not already possessed by the entity. We will guide the application process, including best practice recommendations for communicating with state licensure bodies to alert them of the plans for the new facility. Support will be provided if there is a need to file for a Certificate Of Need (CON) or exemption. We will work with you to complete all licensure applications, ensure receipt of CON or exemption and keep the state aware of all plans as we move forward to meet all applicable state codes (health, life, fire and safety). The clinical program of the residential treatment center will be intentionally designed to meet the licensing and regulatory requirements as well as the goals for treating guests of the center. Ascension also has partnerships with leading industry firms specializing in logo design, branding and marketing services (website development, marketing strategy, SEO, PPC, social media, etc.). These partnerships equate to significantly reduced rates due to existing synergies and makes Ascension a one-stop-shop for full business startup support. During Phase Three, we will execute on our facility (property) decision made in Phase Two to either lease or purchase / build a facility. Should the owner wish to build the facility, Ascension offers property development services through our partner organization with more than 30 years in the commercial real estate development business. In previous engagements, we have purchased the land, hired the architects, engineers, commercial builders and fully managed the construction of the treatment center from start to finish. We will borrow the money and finance the project so you don’t have a large capital expense at project order. Should the owner choose to lease, build themselves or utilize existing space, Ascension will assist the architect and general construction contractor in the design and build of the facility and environment. Ascension offers expertise and support to simplify and accelerate development of program materials, policy and procedure manuals and design of the patient’s daily schedule and curriculum. We have experience establishing Electronic Medical Records (EMR) systems and can help you with a recommendation based on the size and scope of the proposed residential treatment center. Ascension will assist in developing other program materials such as the mission statement, code of conduct, employee handbook and referral package for potential patients. Ascension offers material resources and best practices to guide in the development of policies and procedures manuals specific to licensure requirements of the state where the facility will be located. Our team will guide you through best practices for staff recruiting, interviewing, selection and training. We can advise on compensation for practitioners and other staff to ensure that they work within the overall budget. The staff may be comprised of addiction specialists, psychiatrists, psychologists, LPCs, LCSWs and non-clinical staff to include chemical dependency technicians / peer recovery coaches and volunteers. The staff will be the fabric of the center’s community and must be well versed in its mission. Ascension will assist you in researching applicable grants that can support the treatment center. We can also assist you with grant writing and execution of the grants if received. Ascension has assisted our partners in the search of grants, application process, narrative writing, budget creation and writing of the budget justification for various grants totaling millions of dollars for substance use disorder treatment, both state and federal, and participates in the execution of the grant, project management, final analysis and dissemination of final outcomes. Developing a treatment facility can provide many challenges. It can take months of planning to execute effectively, and mistakes or missteps can be costly. These mistakes can end up cost tens to hundreds of thousands of dollars in lost revenue, and can even delay the opening of your facility. Take the first steps in starting a residential treatment center. With the enormous increase in mental health and substance abuse issues in the U.S., residential treatment centers are more important than ever. As much as parents, friends, and family mean well, they do not have the skills, knowledge, or abilities to treat their loved one anywhere near as well as a residential treatment center. These centers have full-time staffs whose primary purpose is to treat addicted individuals using evidence-based techniques which have a high rate of success. 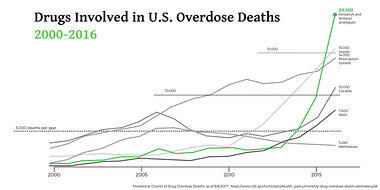 Drug overdoses are also the leading cause of death to Americans ages 50 and under, and the trend has increased since the year 2000. The annual death rate from overdosing in 2016 was between 59,000 - 65,000 people, which surpassed the peek death rates in any year from the HIV epidemic or gun violence. According to data collected by the CDC, there have been increases in deadly overdoses for users of almost all drug types with massive increases in deaths by Prescription Opioids, Heroin, and Fentanyl and Fentanyl Analogues. This data provides a disturbing but accurate look into the scale of the drug overdose epidemic in the U.S. The need for more residential treatment centers is real, and will be real for some time.